With the recent summer sun I have been enjoying the rooftop pools in London and turned to simplybeach.com to find the latest styles in swimwear. 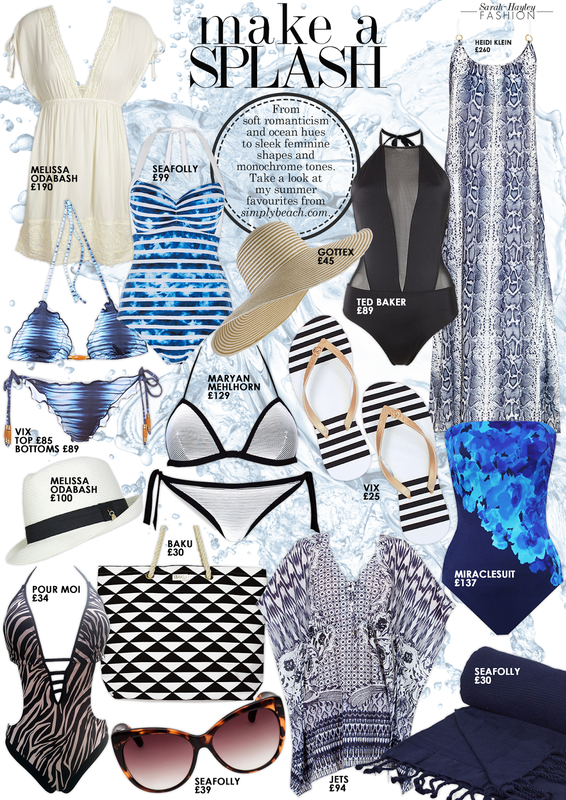 With over 40 leading brands to choose from including, some of my favourites, Seafolly, VIX and Melissa Odabash you are spoilt for choice. With work commitments till August I haven't decided my summer holiday plans as yet, although I will be spending a couple of days at the seaside in the UK. Thankfully simplybeach.com houses everything I could possibly need for my holiday wardrobe with beach clothing and accessories in abundance. What's more simplybeach.com collection ranges from a size 6-26, and up to a 34G cup, providing fabulous swimwear for everyone, regardless of silhouettes. Take a look at the latest pieces to hit the website here and check out my favourites below. Recently I have styled lots of clients for their summer holidays and honeymoons and the look they have wanted to re-create is less Boho and more sophistication. Swimwear is feminine and luxurious featuring soft ruffles or bold patterns. Think Grace Kelly's beach look in 'To Catch A Thief'. If you want to extend the elegance from the red carpet and soak up the sun in style, I have selected my favourite CARAT* London pieces. 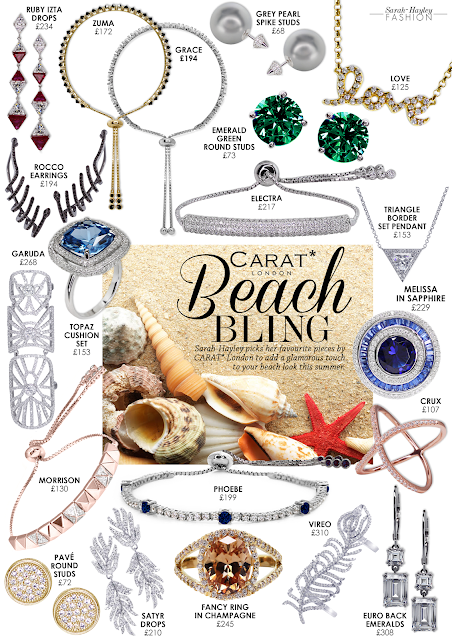 Imagine walking along the beach, in the surf, wearing light-reflecting jewels, set in precious metals, shimmering in the sunlight. For pool-side glamour opt for statement rings and bracelets, perfect when reading a book as your jewels will delightfully glisten when you turn the page. Introducing the All-Day 'Chocolate' Breakfast at Rococo Chocolates, Belgravia. 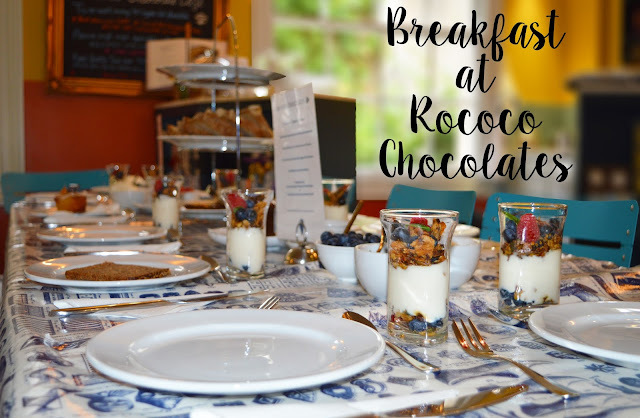 A few weeks ago I was invited to Rococo Chocolates in Motcomb Street, London, to experience their new Chocolate Breakfast! Yes, you heard right.. a breakfast centered around one of my favourite things, Chocolate, although this is no ordinary chocolate, it is made by couture Chocolatier 'Rococo' who have just won a trio of awards from the Academy of Chocolate. You might be surprised to hear that the Rococo Tasting Menu is full of goodness, as Founder and Creative Director, Chantal Coady, informs me that "Chocolate is a fruit"! 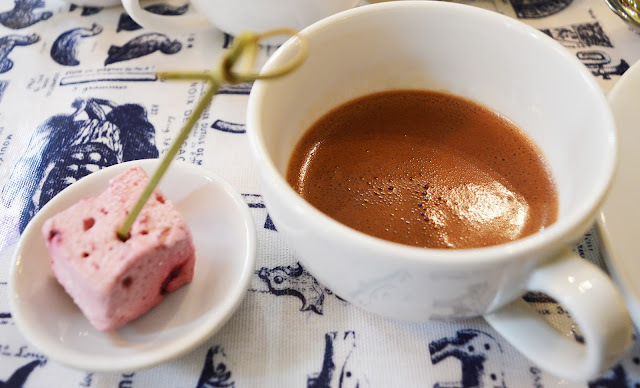 The surprises begin with a shot of the richest hot chocolate I have ever tasted, which is dairy and sugar free, served with a cube of marshmallow for dipping. Next on the menu is Chantal Coady's famous 'Power Granola' which is featured in her book, 'Mastering the Art of Chocolate' and served with yogurt and fresh berries. As some of you may know I have been gluten free for two years and while I feel so much better for avoiding gluten and wheat due to my intolerance, I still crave what I am not permitted, predominantly because finding a gluten-free alternative on the menu is still a rarity. 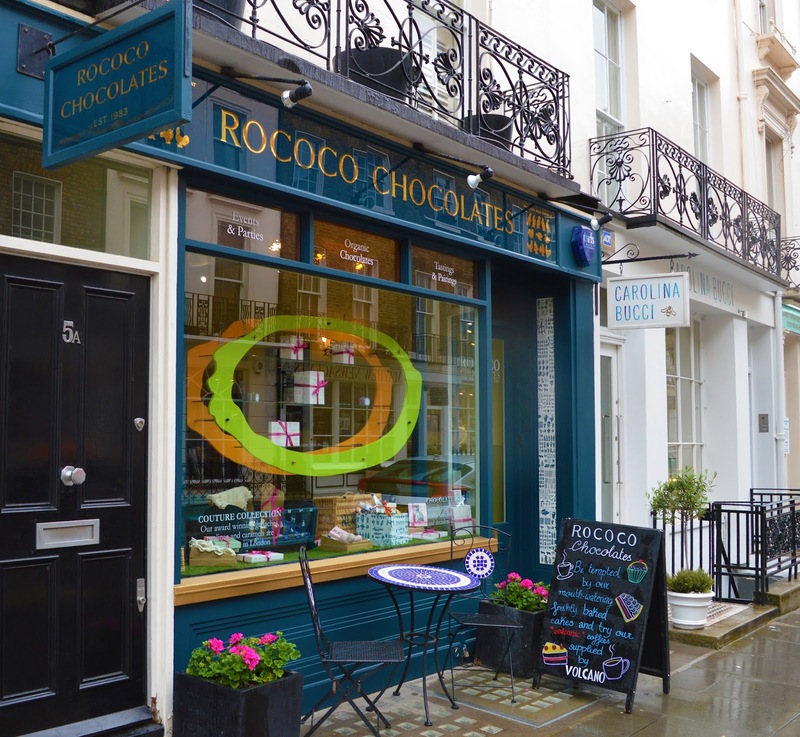 It was a delightful change at Rococo, anyone with a special dietary requirement is catered for. While I longed to taste the plate of Billionaire's Shortbread which was placed opposite me, I was offered to choose from a selection of patisserie and an assorted selection of Rococo's award winning chocolates. I have since returned to Rococo to buy the Ganache Selection Box for a friend who is equally particular about her chocolate. Also Rococo have just launched their new ice cream flavours, perfectly timed for the heatwave this week. I am yet to experience but will be passing by very soon to taste the Mint Dark Chocolate. 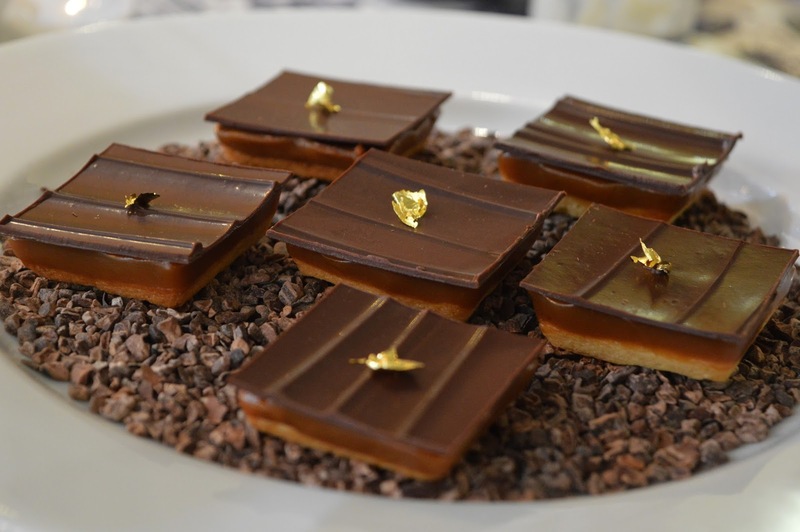 The Chocolate breakfast is available daily at the Belgravia shop, although booking is required. 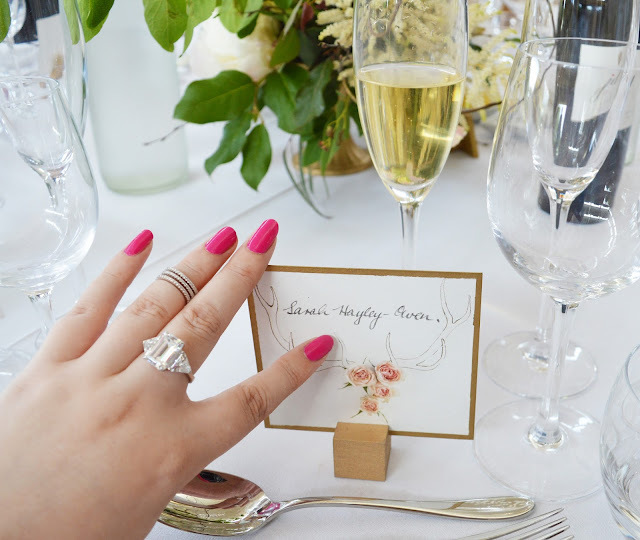 I have spent the last month attending event after event and turned to my favourite luxury fashion jeweller CARAT* London to accessorize my look. From Ascot and my first Summer Wedding to launch parties and client meetings. Carat* London has allowed me to shine and also provided a talking point. Not only have I received compliments at these events but also in ordinary everyday situations, whether in Starbucks paying for my drink, using my phone while in a meeting, reading a book on the tube and when out for dinner my waitress asked me to write out the details of what I was wearing for her upcoming birthday present! 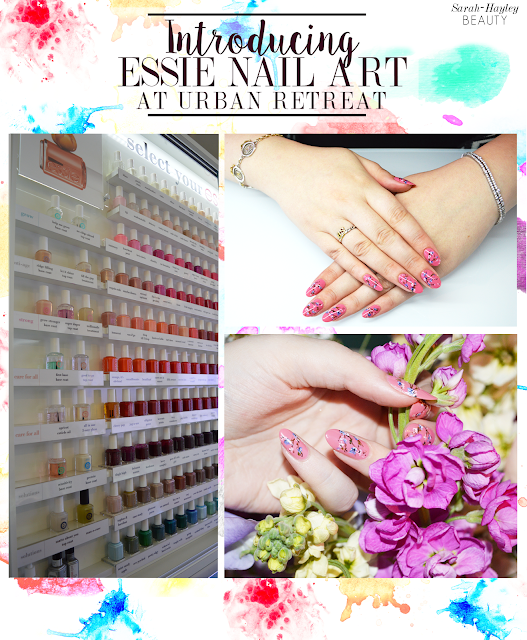 Introducing Essie Nail Art at Urban Retreat, Harrods. 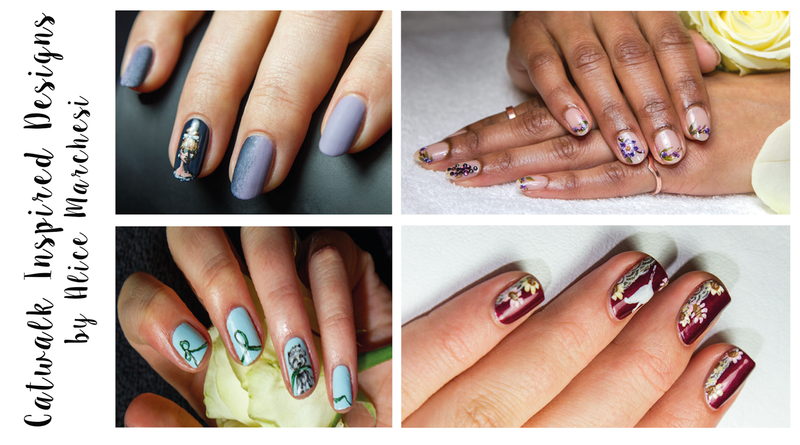 To celebrate the launch of the new Essie Nail Bar in Urban Retreat, Harrods, leading nail art technician, Alice Marchesi, has created four stunning hand painted nail art designs inspired by the SS15 and AW15 catwalks. I was invited to try out the designs for myself and being an obsessive nail art devotee this was one appointment I wouldn't miss. I opted for a design named 'Porcelain Flowers' and watched in wonder as Alice hand painted my nails into a beautiful floral fantasy. The intricate designs reflect Alice's experience and her genuine love of classic art and portraits. Alice is a regular manicurist backstage at Milan Fashion Week and also a consultant for Chanel Beauty. When I left the Essie Bar and continued shopping my nails were admired wherever I went. Although for me, the biggest proof that Alice's work commands attention was when my friend George commented "Wow...I love your nails". If a guy who has never commented on my nails in over a decade of friendship suddenly notices, ladies book an appointment! Prices are from £60.00 for one of the catwalk inspired designs or there's also an opportunity for a bespoke design consultation for something extra special. Take a look at Urban Retreat for more info. Click to see the full size images on my Pinterest.